Dr. Chinnam Rama Krishna studied bachelors in Metallurgy and Materials Engineering from India. With the help of Erasmus Mundus Program, he studied masters in Advanced Materials Science and Engineering in Sweden and Germany. He worked in EMPA, Switzerland as research assistant and later received doctorate from University of Erlangen-Nuremberg, Germany. 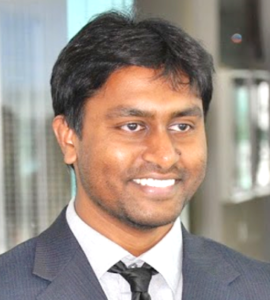 Dr. Chinnam took first postdoc position at Imperial College London and second postdoc at University of Limerick, Ireland. He is currently part of Raw Materials and Metallurgy and MOSAIC Groups at UL. Dr. Chinnam has expertise in materials processing, materials joining, corrosion and characterization. Most of the projects that he is part of are related to developing and testing environmental friendly processes and reuse of industrial or electronic wastes for sustainable materials usage. At University of Limerick, he learnt to write Life-Cycle-Assessment for LCD televisions recycling machine (Revolv project). He is currently studying novel techniques for extraction of Indium from ITO present on discarded LCD screens (LCDVal project). This includes developing fast and reproducible ITO recovery techniques from LCD screens and accelerating ITO dissolution for Indium extraction.